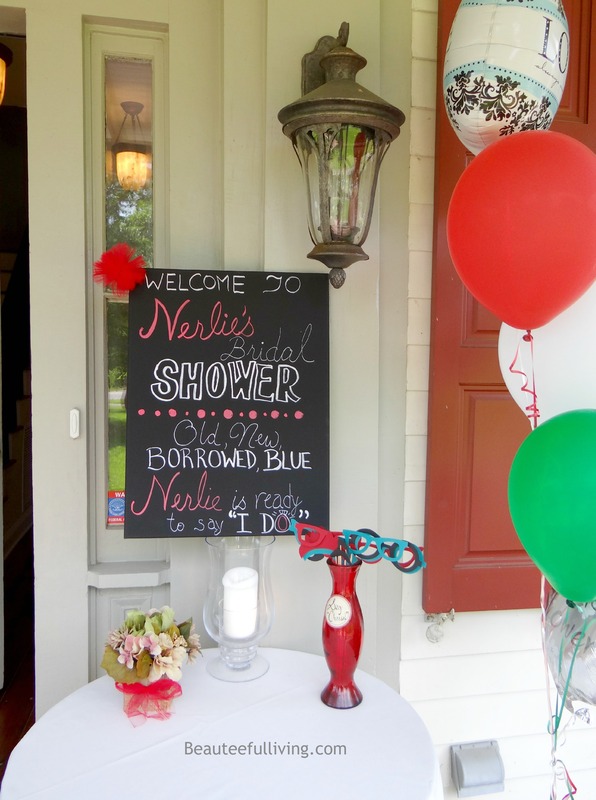 The day is finally here for me to share all the details from the past weekend’s Italian-themed bridal shower. If you missed last week’s post, you can catch up here. As someone who’s decorated numerous parties, I am always still so anxious for the actual day of celebration to arrive. I want to see all the projects come together! This idea came from the bride’s sister (matron of honor). She had seen a similar chalkboard sign on Pinterest and thought a “welcome sign” would be great to greet guests. I completely agree! But, instead of using a chalkboard, I used a black canvas for this sign. Chalk pens work well on this canvas. 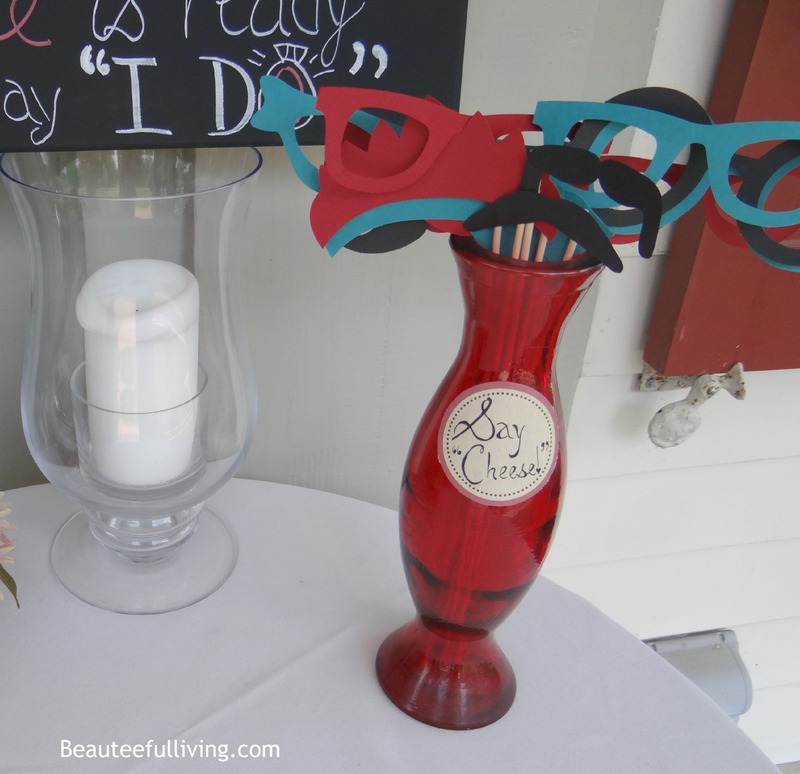 Who can throw a party without photo props these days? 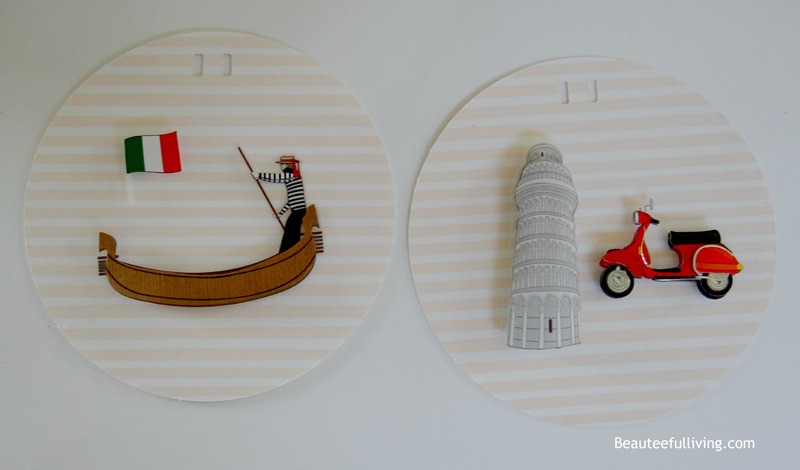 I purchased this cute set from Paper Source. Since we couldn’t take this large painting off from mantel, I had to get creative with covering it. 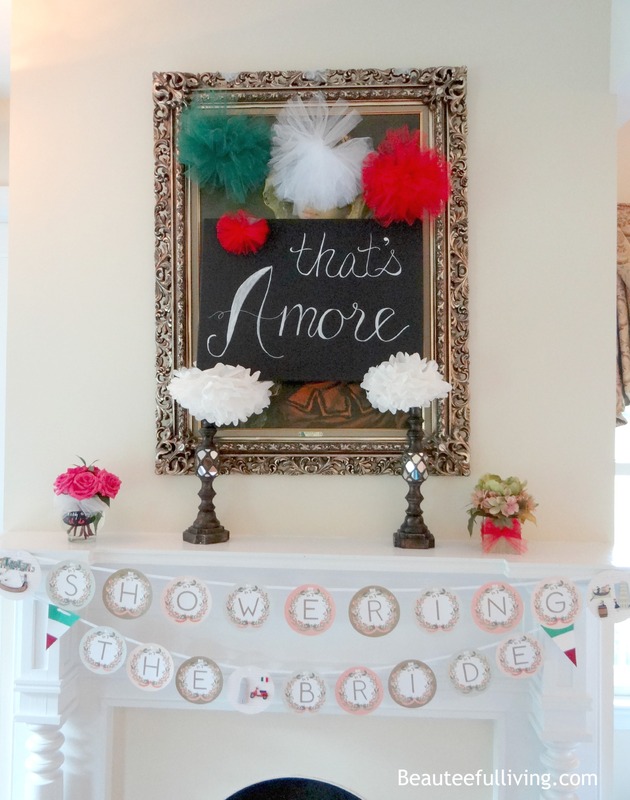 To cover the oil painting image, I made green, white, and red tulle pom poms. 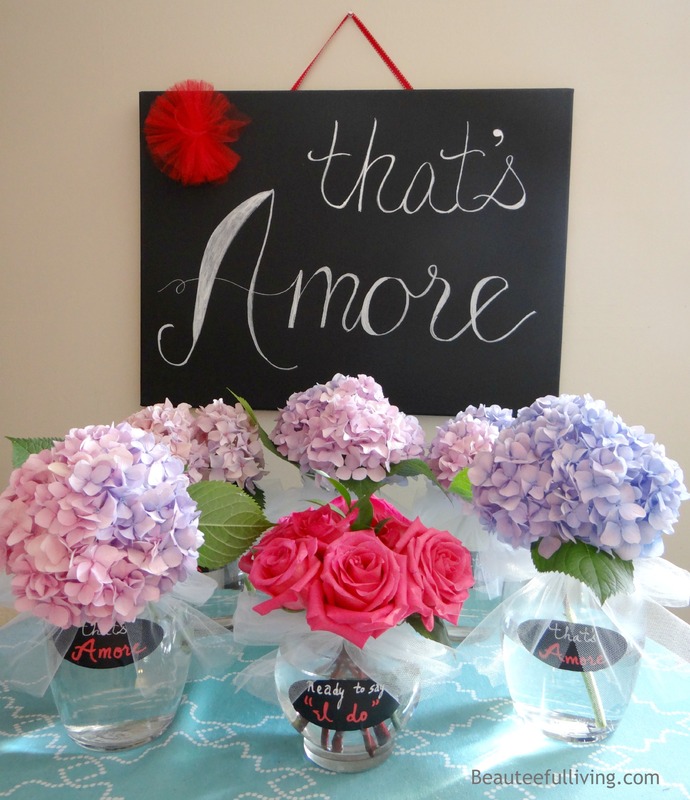 🙂 In order to raise the “that’s amore” sign, I used paper flowers and candle holders. Nothing like improvising when faced with a challenge. A close up of the 3-D stickers I added to personalize the above pennant banner. 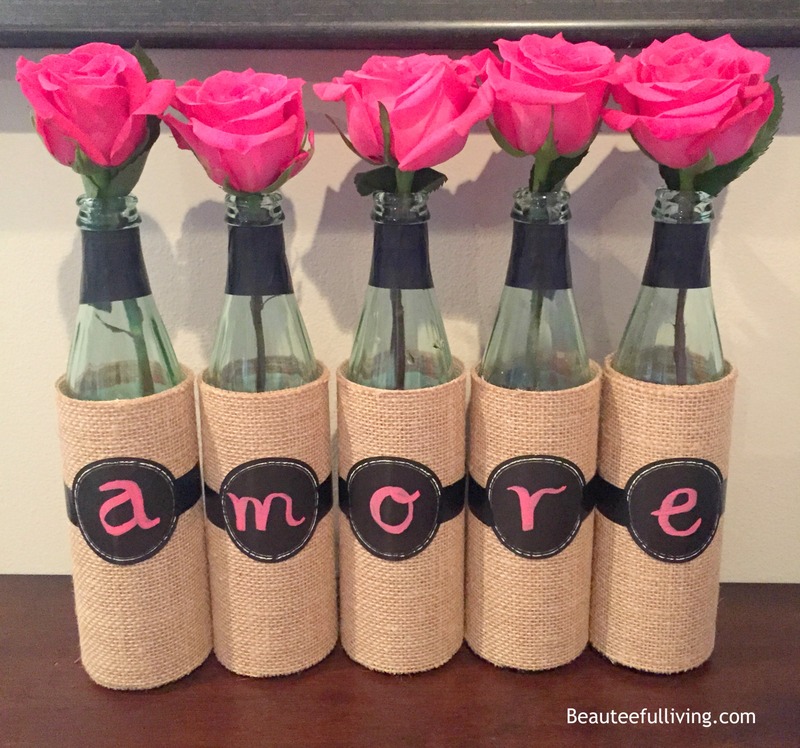 Remember this DIY wine bottle project I did? Looks amazing with fresh roses! Here’s the link to the tutorial! I love how nicely the green, white, and red color scheme came together in this fireplace display. 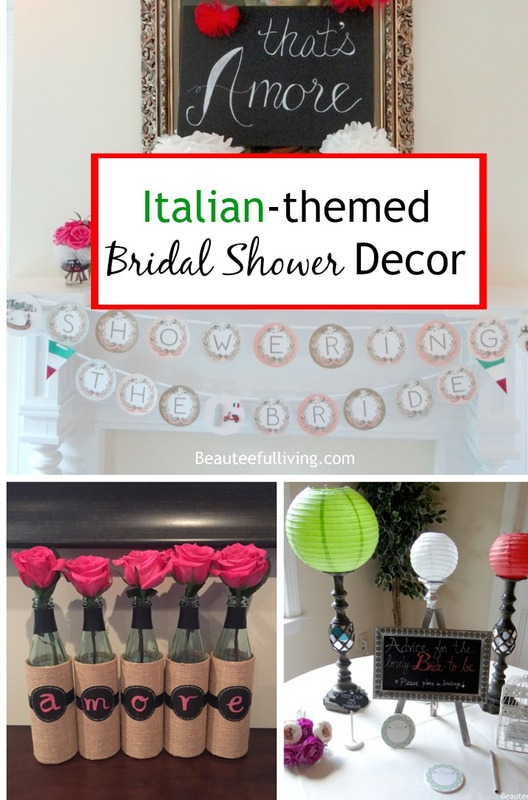 Primary colors are not what I typically use in my decor but for this themed shower, they totally work! I thought this sign would go perfect in the food serving station. 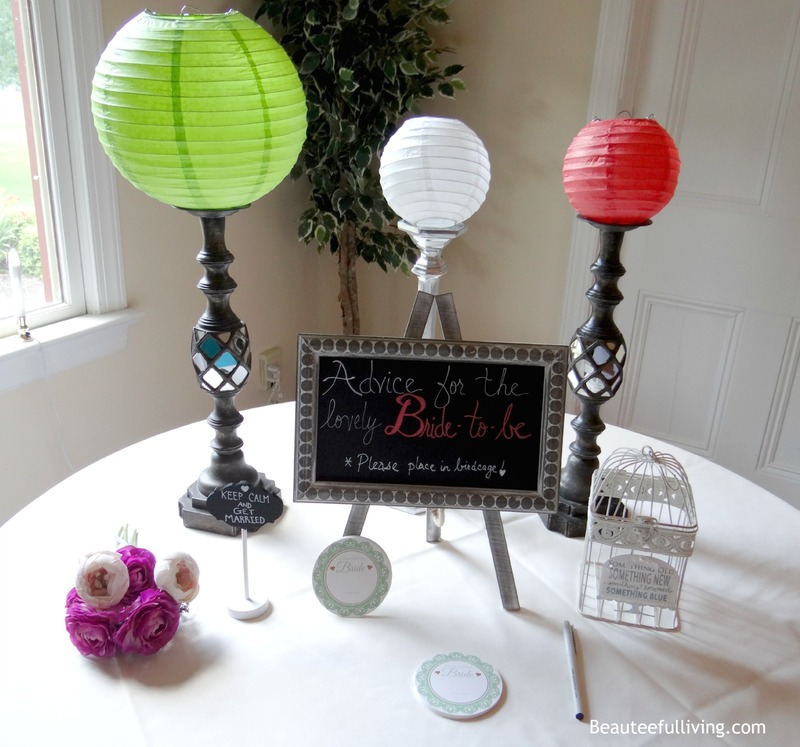 After decorating for the event, I stuck around until the bride-to-be walked into the room. I wanted to see her reaction. Guess what? Throughout the set up, I was given compliments from the guests walking in and from the matron of honor who hired me to decorate this party. 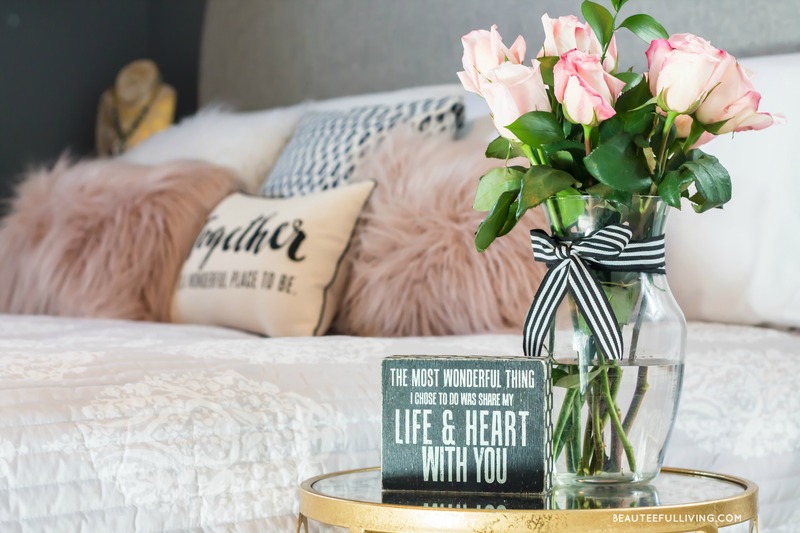 When the guest of honor walked into the room (even though it was not a surprise shower), the only aspect she noticed the first few minutes…were faces of people whom she loved. Familiar faces of people who were there to join in her special day. Not my decorations. Not my “look at me” banner signs. When I went back to pick up the decor items after the shower ended, the bride-to-be looked for me and gave me a warm hug and mentioned how she loved everything. 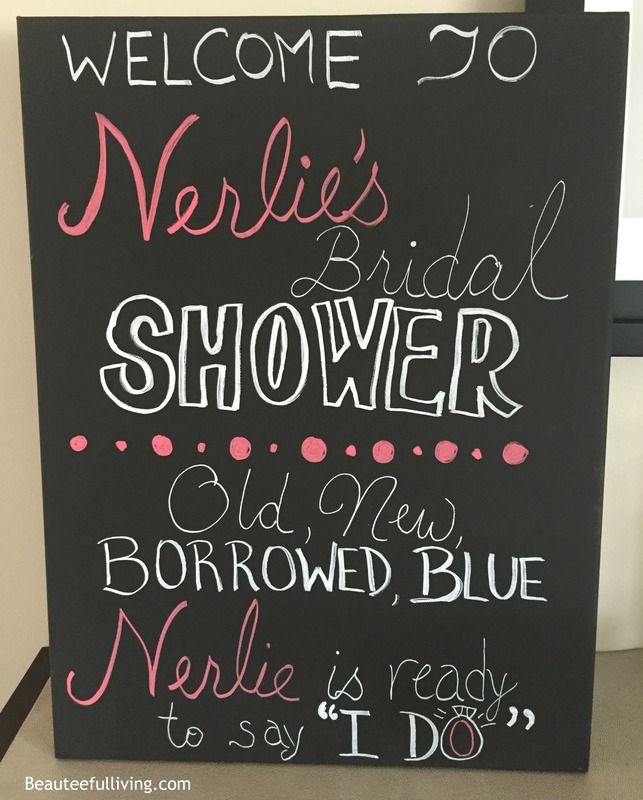 Such a sweet bride and such wonderful people I worked with for this shower! This was a special day for me too. 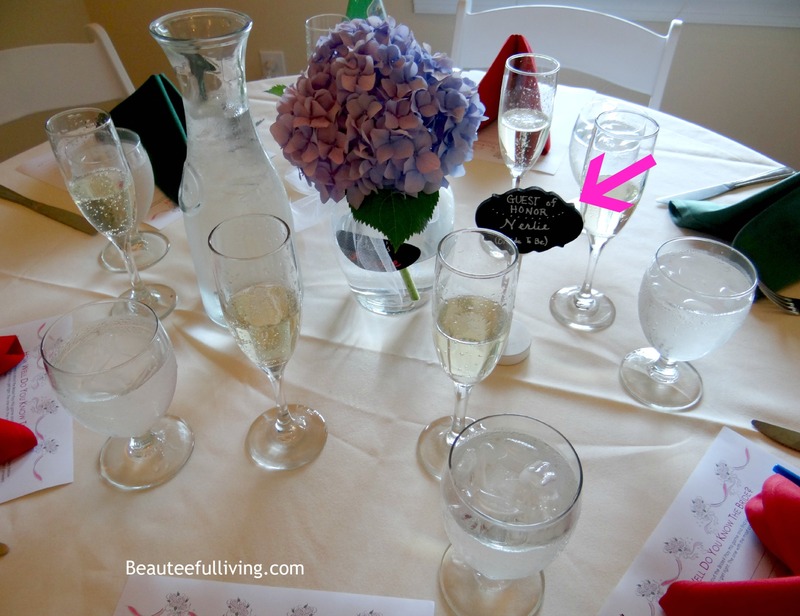 It was like walking down memory lane of how I felt at my bridal shower. 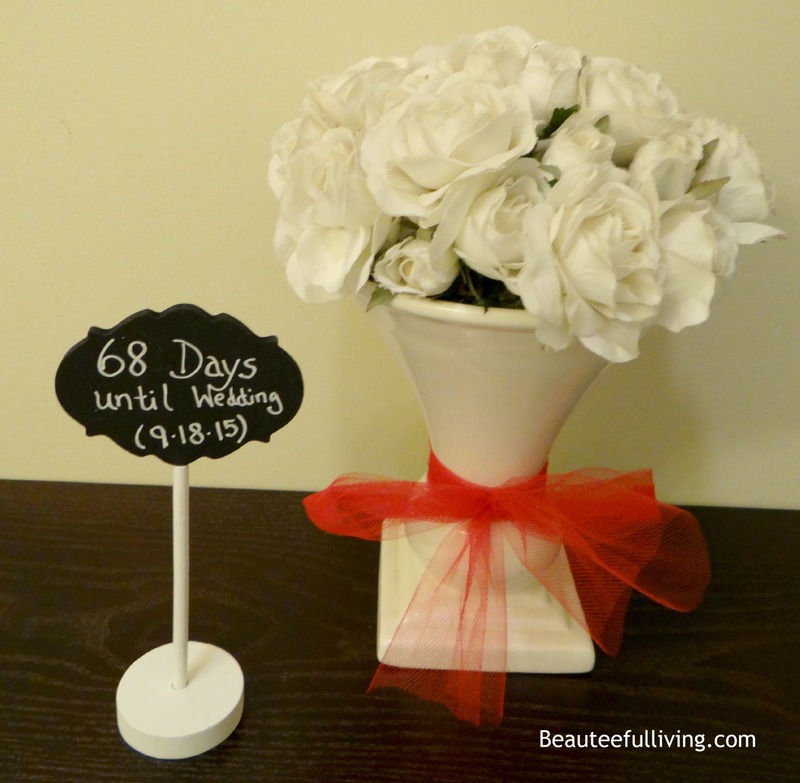 Here’s a DIY project that you may be interested in doing for a special event. 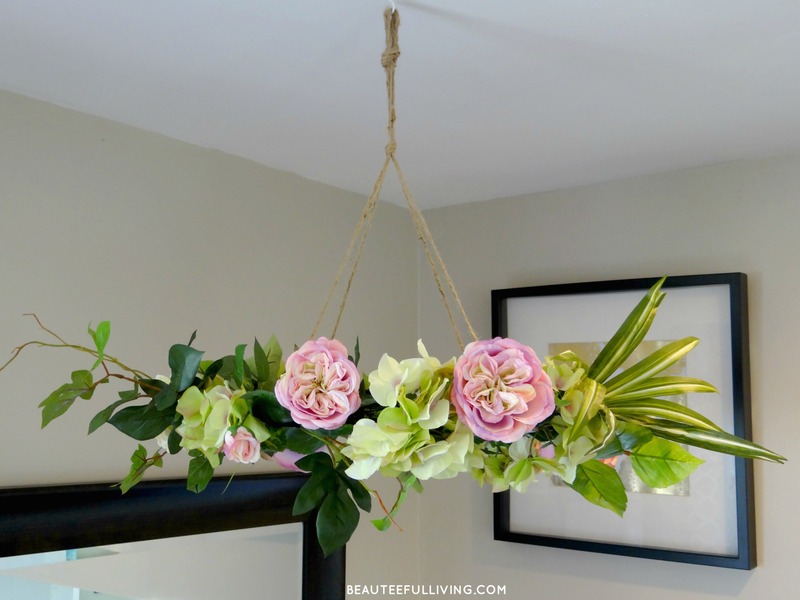 It’s a hanging floral chandelier! Do you have a favorite element from this shower? Have a comment? Love it, Tee! Everything looks beautiful! Congrats to your friend! TEE! you did such a great job 🙂 I love the amore bottles and of course the flowers!! That’s so sweet! The decorations were fantastic, and the bride to be just as special! How fun to help put on events like these, when bride-zilla is non-existent! Great job. What a wonderful event and so touching. Love the fireplace display with the flowers. What a gorgeous shower! 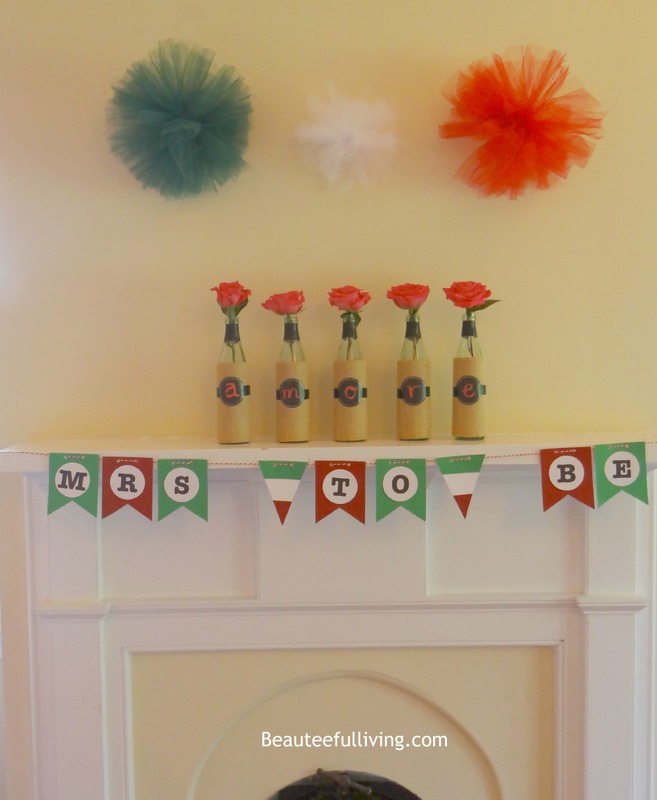 I love the Italian theme and all the ways you were able to incorporate that into the decor. Great job! This is really beautiful—so elegant! 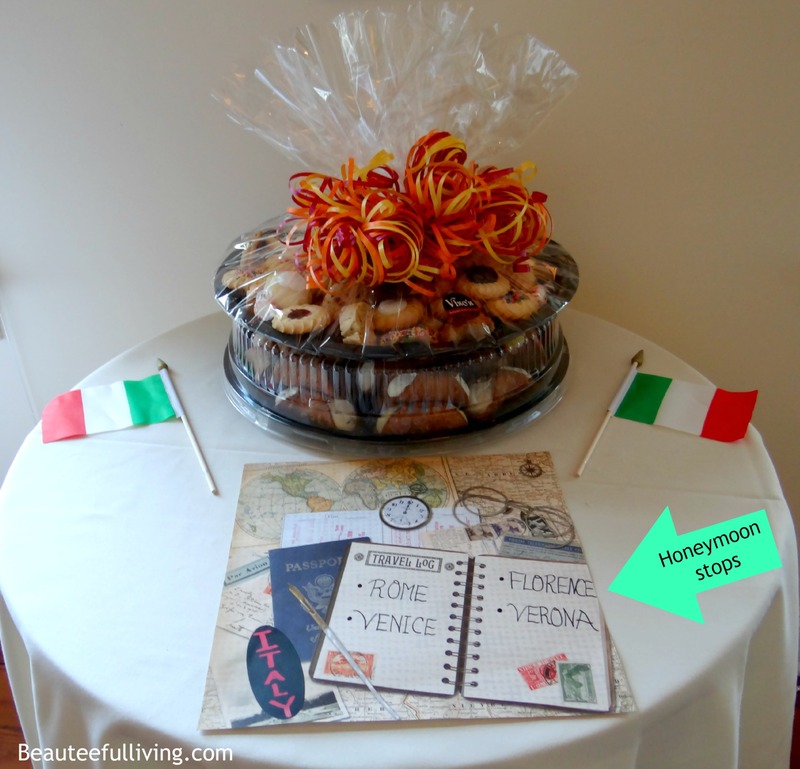 What a darling idea to make it Italian themed! Aww, thanks so much Kelli!! Betty, the Matron of Honor. Thank you so much for such an amazing day 🙂 I loved everything you did and am really grateful that my sister asked you do execute such a wonderful day for me! I was so happy and excited with all of the little details that you put together. You are amazing 🙂 Thank you again! That is very sweet, what a fun theme. Lots of colours and great accents. It turned out great! I love the theme and all of the decor is spot on! Great job! Thanks so much, Ruthie :).